True crime/investigative journalism book that uses the murder by a young man of his parents and sister to explore many of the issues that plague Juarez, the infamous Mexican border city that’s only miles away from El Paso, Texas. 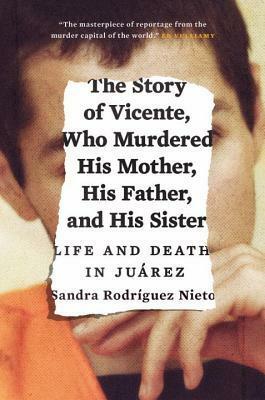 Only the first few chapters discuss the actual details of the crime and what happens to Vicente in the aftermath (he only got a measly five years in prison, btw). It’s not Vicente’s fate that drives this book as much as its overarching message: that when violence occurs in a place with impunity, it effects everyone–including a 16-year-old who decides to slaughter his family. I recommend this book for anyone interested in current issues, particularly in Mexico.